Reykjavík is the nation’s capital and main hub in almost every sense of the word. It is the closeness to nature that makes Reykjavík truly special. Surrounded on three sides by the sea and dutifully watched over by the kindly but imposing hulk of Mount Esja, visitors are constantly reminded that this city lies on the edge of a grandiose, yet far from uniform, land. Situated on a peninsula, the visitor is never far from the sea in Reykjavík. The old wooden buildings and fishing village atmosphere of the old town only serve to enhance that sensory connection with the city’s history. It is tempting to describe Reykjavík as the modern capital trying to squeeze into the ancient fishing village, but in reality the rapid expansion of the city has left the ancient fishing village struggling to remain the focus of the modern capital. Reykjavík offers an exceptionally wide variety of museums, galleries, theatres and cinemas, as well as a lake in the city centre, parks and scuplture gardens. It also has shopping down to a fine art; its main shopping street is an odd but pleasing mix of local and international names in the fashion world, as well as gift shops, art shops and much more. Some of Reykjavík´s biggest claims to fame are its pleasant cafés, its crazy nightlife and its bewildering array of world-class restaurants. All year round visitors can enjoy a multitude of various events and festivals. Every season has its own unique charm; the summer brings 24 hours of daylight, while winter ushers in the beautiful Northern Lights. Enjoy all the natural treasures that Reykjavík and its surroundings have to offer. Click here for website of the Ports of Reykjavík and Akranes. Click here for Video of Port facilities. Reykjavík is a paradise of possibilities, offering an impressive collection of interesting attractions and places of historic significance. 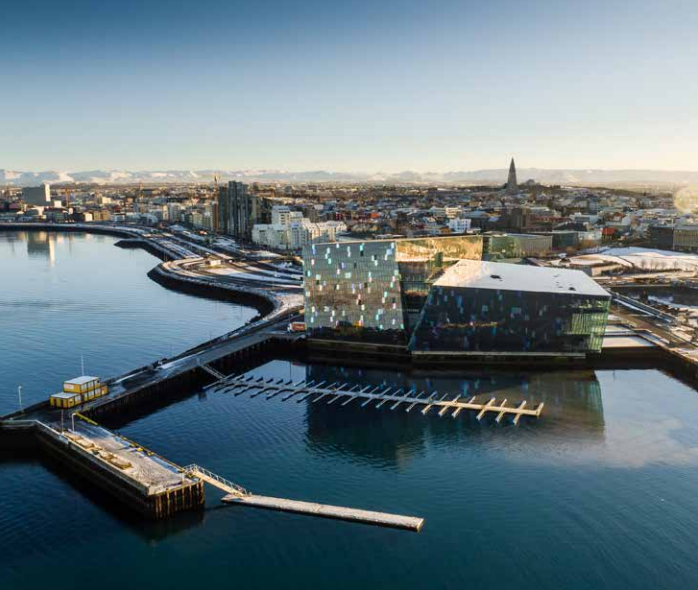 Recommended landmarks for visitors: Harpa concert and conference centre, Solfar Sun Voyager, Viðey, Reykjavík City Hall, Hallgrímskirkja and Perlan. The Golden Circle is one of the most popular tours in Iceland. The tour covers the island’s three major attractions. First is Thingvellir, which is the national park of Iceland, where the American and Eurasian tectonic plates are pulling apart at a rate of a few centimetres per year. The second location is Geysir, the famous geothermal area with hot springs. 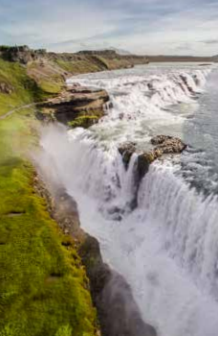 The third attraction is one of Iceland ’s most beautiful and powerful waterfalls, Gullfoss. 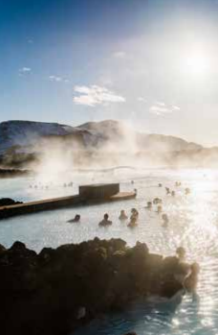 The Blue Lagoon is a geothermal spa, located in a lava field in the south west of Iceland. The scenery around the Blue Lagoon is stunning. The lagoon is filled with naturally heated geothermal water and is rich with minerals, which you can apply to your skin. If you want to relax and enjoy yourself, the Blue Lagoon is the right place to go. Around Iceland, various different whale species can be seen. Enjoy watching the wildlife in its natural environment.